“The tournament is meant to provide additional opportunity to the Indian National Team to face other National Teams in a competitive format. This will warm them up ahead of the upcoming Tokyo Olympic Qualification’s Round 2,” Mr. Das said in a press conference today (February 08, 2018). “I need to thank the Government of Odisha for all their help. 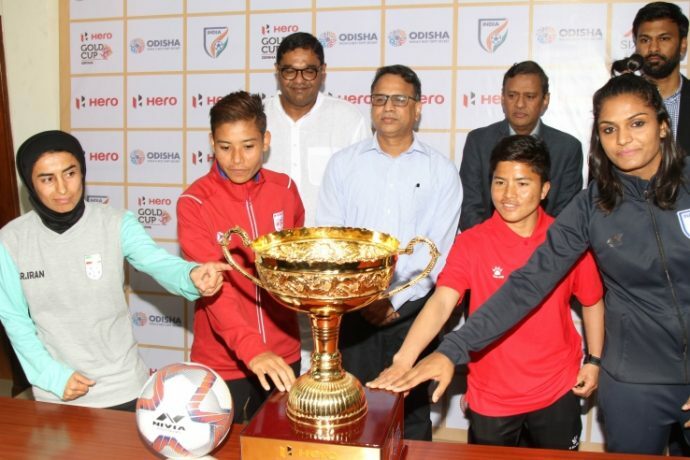 I am happy that we share the same enthusiasm and positive outlook for Women’s football with our partners, SAI and the Government of Odisha,” he explained.